This lab provides an MPLS core network with a dual homed breakout site consisting of two MPLS facing CEs, a breakout firewall and an internet facing CE. A default route is advertised from the internet, redistributed into OSPF and the redistributed again into MPLS. 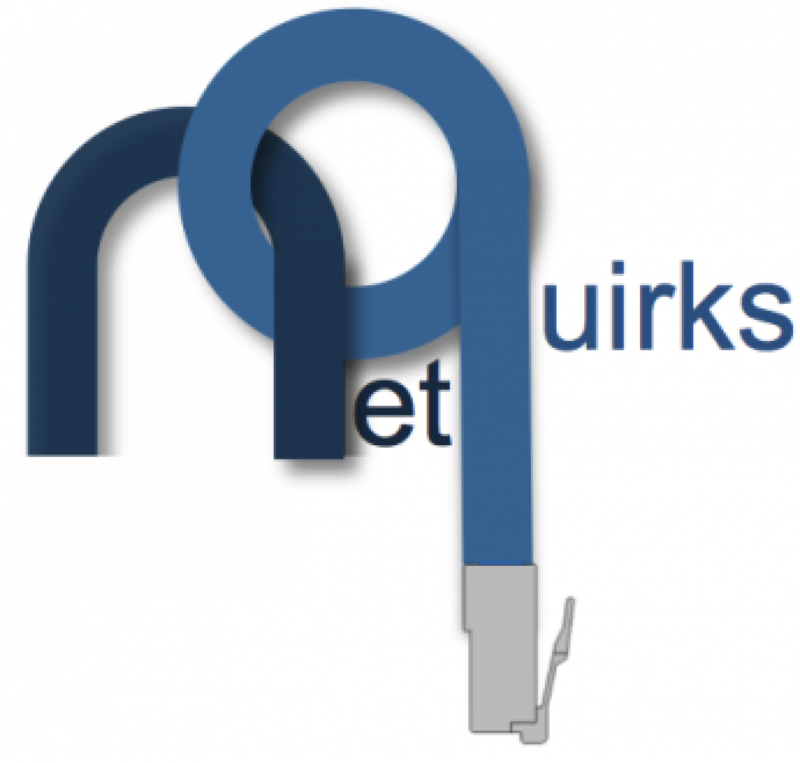 Remote MPLS site are represented by loopbacks on the LNS router (representing an L2TP Network Server, though it is really just a 3725 running BGP and MPLS). 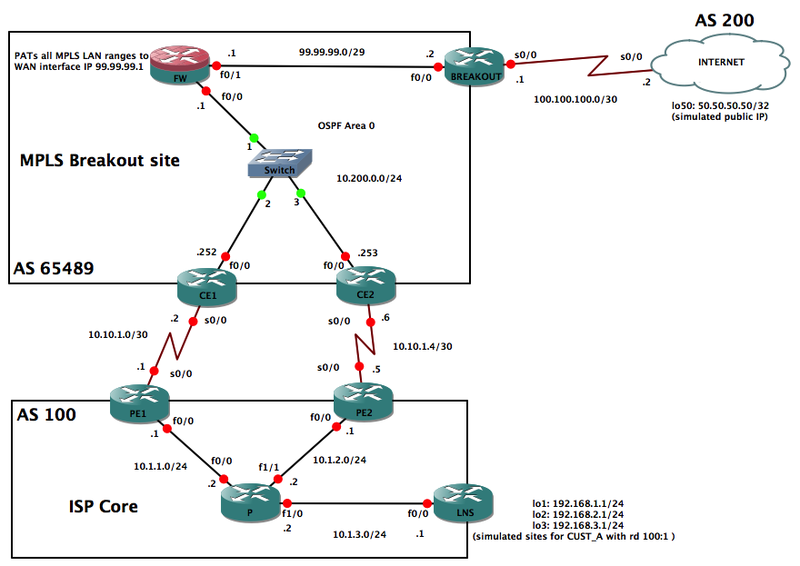 Tagging and route-maps are used on CE1 and CE2 to prevent redistribution back into MPLS and asymmetric routing. 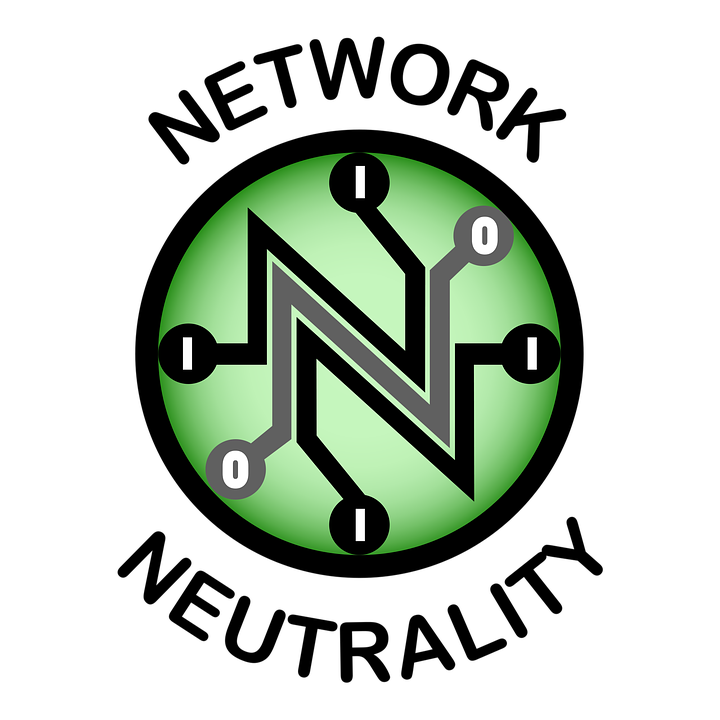 The routers named FW and INTERNET have had their symbols changed. But they are 3725s.